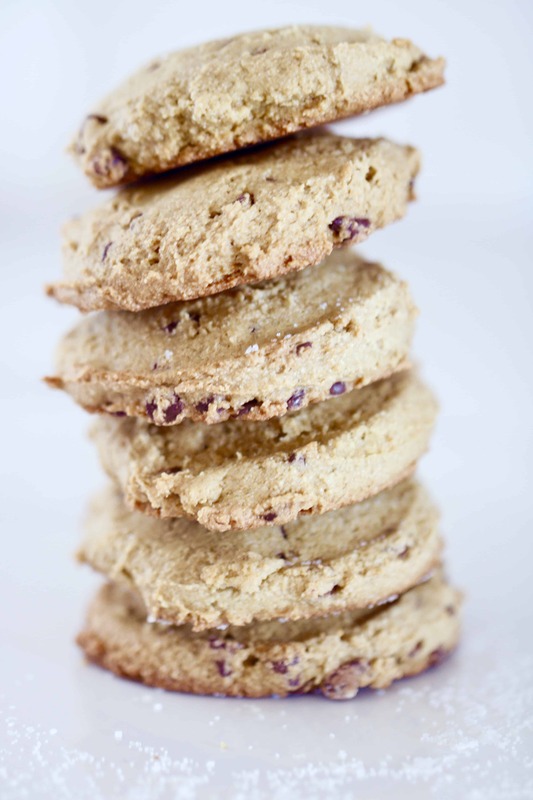 Remember when I promised you a Fodmap Friendly Chocolate Chip Cookie Recipe here? Well my friends, I am delivering that to you today! 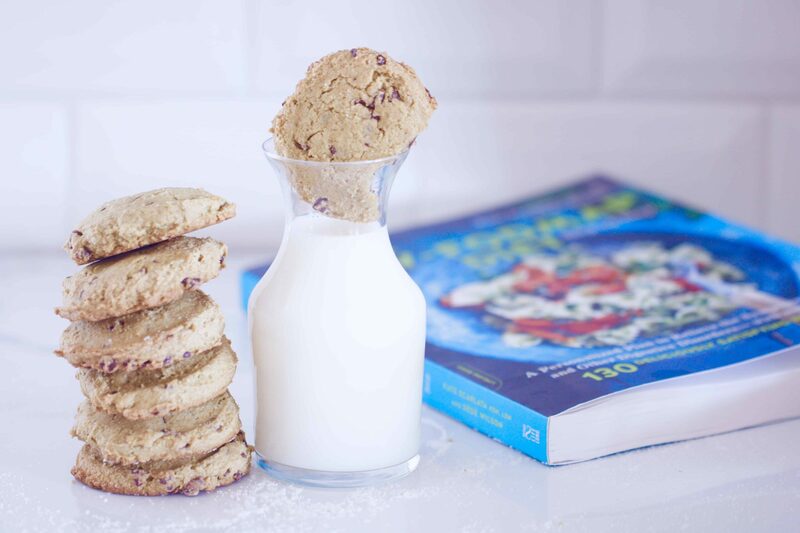 Truth be told, I’ve been dying to whip up a cookie recipe from The Low-Fodmap Diet Cookbook by Kate Scarlata ever since my sister in law raved about them! “Liz, you have to try Kate’s Peanut Butter Cookies! They are seriously to diet for and only 3 ingredients”. She had me sold at 3 ingredients until I realized I was actually out of the prime ingredient needed in the recipe, peanut butter!!! Shoot, okay, not a biggie! I can improvise. What else is speaking to me? Frankly, with the 130 recipes found in The Low-Fodmap Cookbook, it was hard to choose just one. But, since Mr. CEO has been working like crazy, I knew a special thank you that he always enjoys is a warm chocolate chip cookie. 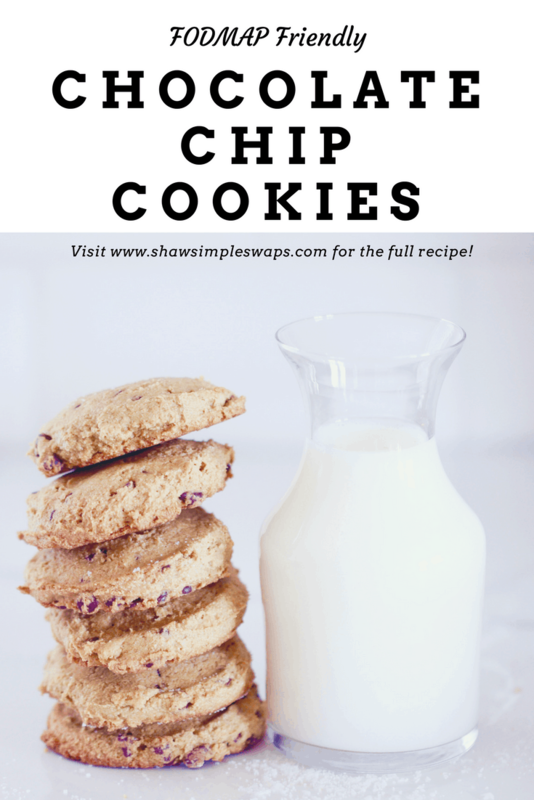 I flipped open the book and knew right then and there I was set to whip up a Shaw Kitchen version of a Fodmap Friendly Chocolate Chunk Cookie! The main different you’ll see in this recipe from Kate’s is that I used avocado in place of butter, omitted the walnuts and lowered the sugar a tad. Since baby is on the way we’re trying to decrease the amount of added sugar we consume, and truthfully, using the semi-sweet mini chocolate chips with the 1 cup of sugar resulted in a 100% totally satisfying cookie! But, I say this in case you want to try more of the original recipe. Then just add an extra 1/2 cup of brown sugar! 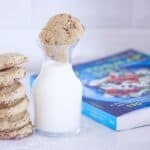 While avocados are not a low-fodmap food, Kate did say when following the serving size of 2 cookies, these cookies still remain low-fodmap given the amount of avocado actually present in each cookie. Woohoo! Avocados are also a great way to increase the nutrition in your diet so anytime I can make an avocado swap in my kitchen you’ll usually find me doing so! After a round of trial and error, Mr.CEO came home and within 2 minutes had consumed two freshly baked cookies and was already asking for more! I kid you not, this was the first swap in the baking department since pregnancy that I’ve actually succeeded in! For some reason, baking and me just aren’t meshing these days. But, I’m not worried. I’ll rely on my good friend Kate and her timeless fodmap friendly recipes to tie me over until my green thumb for the kitchen returns! And, you can too. Be sure to check out Kate’s book here and order your copy too! To a medium bowl, whisk the flour, baking soda, and salt. Set aside. Using a stand mixer (or hand mixer), beat avocado until completely pureed. If needed, place in a food processor to get a butter like consistency. Add in the brown and cane sugars, beating on medium speed for about 2 minutes, scrape down the sides as needed. Beat in the vanilla extract and eggs, adding one at a time. Continue to mix. Slowly beat in the dry flour mixture. and end with adding in the chocolate chips. Beat until just combined. 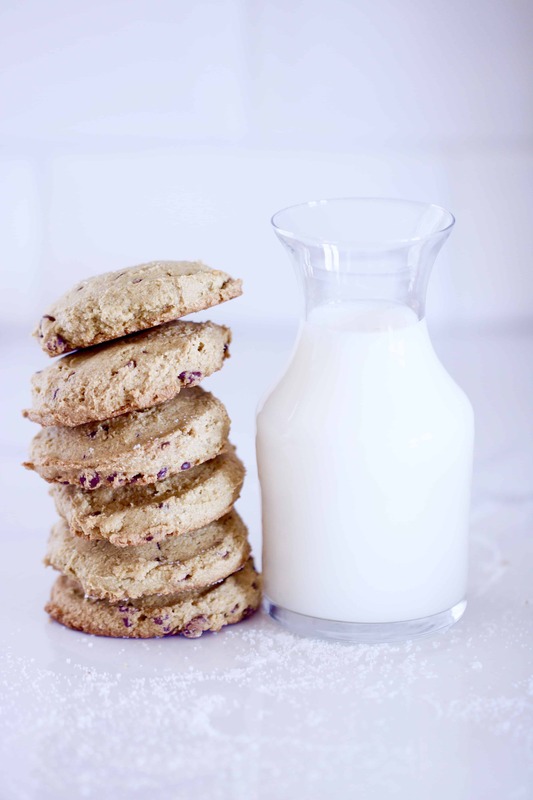 Cover dough and refrigerate for a minimum of 2 hours, or if desired, overnight, to help cookies retain shape. When ready to bake, preheat oven to 375 degrees F and spray two baking sheets with cooking spray. Drop cookies using a 1-ounce scoop and gently press down with the back side of a cup. Bake for 10-12 minutes, or until outer edges are brown and middle is slightly soft. Store in an air-tight container for up to 3 days for best quality. To remain low-fodmap, be sure to purchase a GF approved flour blend, like Bob's Red Mill 1-1 GF Baking Blend. Serving size at 2 cookies to remain in compliance with dietary recommendations with low-fodmap style of eating. Let’s chat! What’s your favorite type of cookie? Is it FODMAP friendly? Be sure to check out the FODMAP diet review here too if you need a refresher! The avocado made these so moist and delicious! These were so delicious wit the avocado puree in them!! Thank you! LOVE the avocado puree – such a great swap and I had never tried like this before! 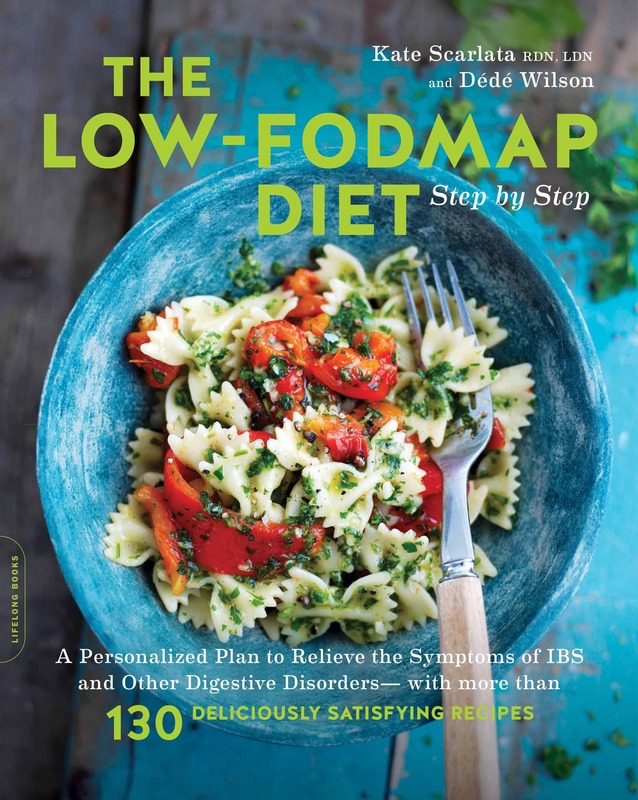 So glad I read this, honestly I needed a serious crash course in FODMAPS! can’t wait to try these! Avocado in cookies? Sign me up!